federal government, as well as the private and non-profit sectors. assist in mitigation and prevention of terrorism, natural disasters, and major emergencies. 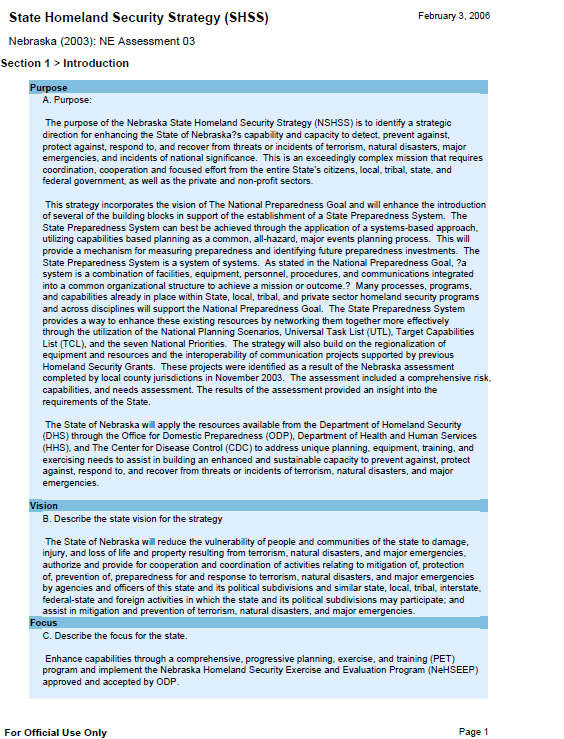 State Preparedness System on a regional basis. dissemination point is not the best use of the tax payers dollars and would add an unnecessary, redundant layer in the information sharing arena that is in operation today. local, federal, and interstate partners in law enforcement and terrorism prevention. for authorized users. The NeLEIS was designed with an automated deconfliction component built into it. facilitates communication between the two agencies. county, state and Federal law enforcement agencies and are members of the MHIDTA.